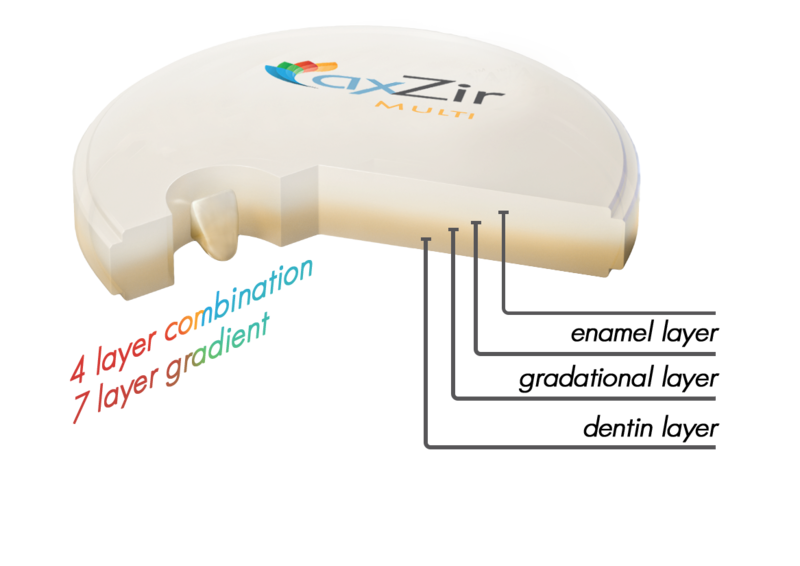 axZir full-contour zirconia offers dental technicians an efficient and reliable method for producing aesthetic monolithic zirconia restorations. Our system consists of two varieties of pre-shaded and multi-layer zirconia along with three choices for solid discs in a wide variety of sizes, shades, staining liquids and transparency levels. Utilizing our pre-shaded discs, dental professionals can simply and consistently produce all 16 Vita A-D shades as well as bleach shades. No dipping or use of coloring liquids is required at any point in the process, helping to ensure a consistent aesthetic result. All AxZir zirconia products are CE, FDA, SFDA and ISO13485 certified. 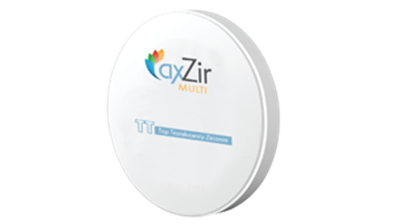 AxZir TT is a material revolution for technicians who love aesthetics and excellence. Zirconia was never like that and is a highly biocompatible material with outstanding transparency. TT series is perfect for all highly aesthetic treatments in anterior tooth region. TT Multilayer has the natural and perfect layers and shade gradations. No coloring, top translucent, high strength, the technicians operate simply and save their time, then to get the best aesthetic restoration you want. AxZirxt Multilayer zirconia provides natural gradients of color, translucency and strength producing restorations of unmatched aesthetics and strength. 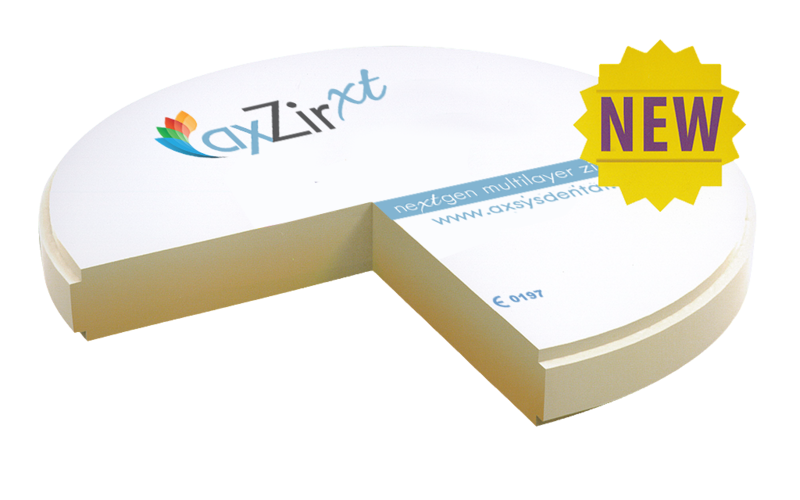 AxZir zirconia, from one of the largest supplier of dental restorative materials in the world, has been approved by national and international authorized certifications, such as SFDA, ISO 13485, CE & FDA. Multilayer zirconia discs are available in 7 popular shades: A1, A2, A3, A3.5, B1, B2 & C2. AxZirXT Multilayer zirconia provides natural gradients of color, translucency and strength producing restorations of unmatched aesthetics and strength representing true innovation in dental material and revolutionizing dentistry once again. AxZirXT Multilayer Zirconia discs are available in VITA classical A1-D4® shades.